Knopf Publishing Group, 9780679451228, 544pp. David Allen Sibley, son of the well-known ornithologist Fred Sibley, began seriously watching and drawing birds in 1969, at age seven. 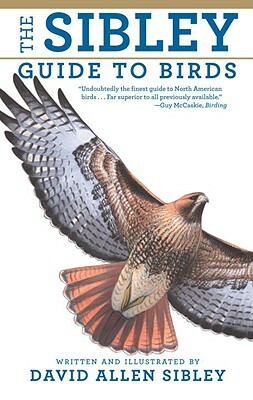 He has written and illustrated articles on bird identification for "Birding" and "American Birds" (now "Field Notes") as well as regional publications and books. Since 1980 David has traveled the continent watching birds on his own and as a tour leader for WINGS, Inc. He has lived in California, Arizona, Texas, Florida, Georgia, New York, Connecticut, and New Jersey. He now lives in Concord, Massachusetts. "This wonderful book is comprehensive—erudite—in fact, magnificent, a powerful book that will start a new generation of bird books and birding. It provides triple the educational content over any predecessor. The treatments are innovative and superb."